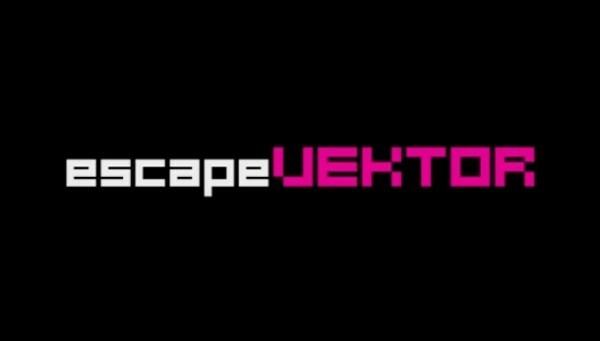 This is the first part of a two part interview with Nic Watt from indepentent developer Nnooo on their Wiiware title escapeVektor: Chapter One. First off, thank you Nic for agreeing to this interview! Developer interviews are a new addition to our site. It's very exciting for both our staff and members and we couldn't be more pleased to have an independent developer of your calibur to be the spotlight of our first interview. You have released a number of games now, mainly through Nintendo's online services and iOS. In today's interview we'll be focusing on your second Wiiware title: escapeVektor:Chapter One. 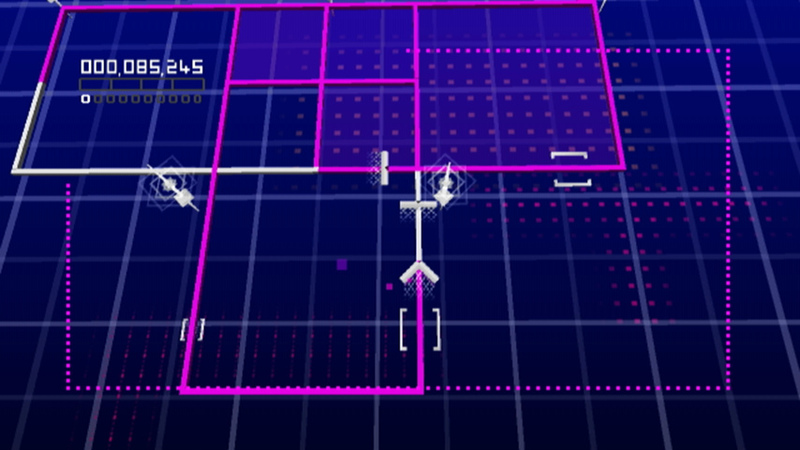 Q: We love the retro gameplay of escapeVektor. What was the inspiration for graphical presentation of this game? Nic Watt: escapeVektor was conceived as the first part of a franchise revolving around Vektor. escapeVektor is the final part of the story and tells how he plans to finally escape or attempt to escape his imprisonment by the CPU. Like Pop we wanted to make a game which was simple to pick up and play, looked great in motion and had layers of depth to the gameplay. As the game is meant to be set in a computer we wanted to draw reference to the old vektor raster graphics that were popular in some of the original arcade machines like Asteroids. We also wanted to blend the styles of Tron and more modern influences. Q: How many people worked on this? How long was the development process? NW: There were two of us for the majority of the project. Myself, Nic Watt, creating the levels, artwork and taking design responsibilities and David Cowan doing the programming and additional design work. We also worked closely with Andrew Curnock on the audio side of things as we have collaborated a lot in the past on music for Pop, myNotebook, myPostcards and myDiary. Finally Bruce Thomson did all of our marketing and testing! The development took just over a year from concept to release. Q: How different from the final product were the earlier beta versions of escapeVektor? NW: The game didn't change that much from beta to release but it did change a fair bit during development. We were originally going to make the game in 2D and decided part way through that it would be more dynamic if we used polygons and a moving camera. We are really happy with the change as the dynamic camera really helps to draw the user in and make the game feel more visually interesting. Q: Were there any plans to add 2-player gameplay in escapeVektor? NW: Yes we had plans for up to 4 players playing together. However as we started making more levels we felt that it would compromise the single player experience too much if we allowed 4 players to play on the same level. Other solutions were proposed such as using split screen. We felt in the end that we needed to focus on making the single player as good as we could and so unfortunately we had to drop multiplayer. Q: One of the best aspects of this game is the music. What lead you to go with that style of electronica music? NW: I have quite a large collection of electronic music so our first step was to identify tracks we liked and thought would work well with the game. Then we worked with our audio engineer to create new tracks which reflected those tones. At the same time I really wanted to make sure the music was as interactive as possible so we focused on making midis which allow us to easily turn on and off parts of the music. What this means is that when you enter a level the music starts off paired down and builds up as you are chased or complete more of the level. Our intention was to make the music reference retro inspired tones and tunes but remain modern and exciting. We're really glad to hear you like it! Q: EscapeVektor is subtitled Chapter One. We understand that the original premise was to do four chapters. Why four parts? Is this still the intent? NW: The intent now is to include all four chapters into the Nintendo 3DS and Playstation Vita versions. We did originally envisage releasing them all on WiiWare but with the release of the Nintendo 3DS and Playstation Vita we decided that it would be better to focus on the future hardware rather than older ones. Check back next week for Part Two of our interview with Nic Watt of Nnooo for more including their thoughts on the limitations of Nintendo's Wiiware service and future plans for the escapeVektor series. The interview turned out very good, nice work gamerace. @Staff way to go on your first developers interview. This is one of the best interviews I've ever read. Fantastic job Gamerace!!! Can't wait for the rest of the interview. This is actually better than most Nintendolife interviews. I guess I'll just wait to finish escapeVeKtor, until all four chapters are available as 3DSWare. I believe I'll find them more enjoyable in handheld form, anyways. When I first found this out, I wanted to say Nnooo! Eureka wrote: This is actually better than most Nintendolife interviews. Many thanks for all the kudos but this was a group effort. All I did was try to ask questions that Nnooo (Nic Watt) would enjoy answering, and you'd enjoy reading. Seems I succeeded. Also Thanks to Nnooo for Agreeing to have this interview with us. I know that I already commented, but once again you guys did a great job on this interview. Booya! This is one of the best news articles on the entire site! Congratulations securing your first developer interview! I hope you will have the opportunity for many more! What a beautifully written interview. I didn't even know that there was a developers interview here. This is an exceptional feature. @FM_Alchemist wrote: Nice work gamerace.